Nobel in Literature: Could This Be Haruki Murakami’s Year? The Japanese author has been tipped to win often before. Will this be the year? Today the Swedish Academy will announce the recipient of the world’s most prestigious literary award, the coveted Nobel Prize in Literature. Although the winner is notoriously difficult to predict, bookies and bloggers inevitably weigh in with their own odds every year, leading up to the October announcement. But in the end it’s anyone’s guess. Vague trends seem to have emerged over the years, but in the end trying to guess who will be chosen is closer to divination than science. As New Republic notes, even with the use of complex numerical analysis of factors like industry gossip, an author’s nationality, and historical precedent, from 2004 to 2012 bookies’ predictions matched reality only once, when Turkish man of letters Orhan Pamuk was tapped by the Swedish Academy in 2006. Syrian poet, essayist and translator Ali Ahmad Said Esber (who goes by the pen name of Adonis) has been touted as the frontrunner during four of those years, but has repeatedly emerged empty-handed. Even the judges themselves are often baffled. In 2005, Knut Ahnlund left the Academy in protest when the prize was awarded to Austrian playwright and novelist Elfriede Jelinek. Japanese novelist Haruki Murakami is another author who has frequently been the subject of such Nobel speculation. This year is no exception. Like last year, he is again being put forward as the most likely to receive the prize by Ladbrokes, a British bookmaker, which is giving him 3-1 odds. Yet he faces stiff competition, with Canadian short-story master Alice Munro, American writer Joyce Carol Oates, Hungarian Peter Nadas, and South Korean poet Ko Un, among others, in the running. There’s no question that Murakami has the mandate of his fans. When his latest novel, Shikisaiwo Motanai Tazaki Tsukuruto Kareno Junreino Toshi (Colourless Tsukuru Tazaki and His Years of Pilgrimage), was released in Japan this April, people were queuing at midnight to get their hands on a copy as if they were about to snag tickets for a hot rock concert or the iPhone 5s. In addition to his latest offering, the reclusive writer has penned a succession of quirky and often critically acclaimed novels and short-story collections, including classics like The Wind-Up Bird Chronicle and Norwegian Wood, as well as the epic three-part tome 1Q84. But even with Ladbrokes’ predictions and fan support behind him, there are no guarantees. 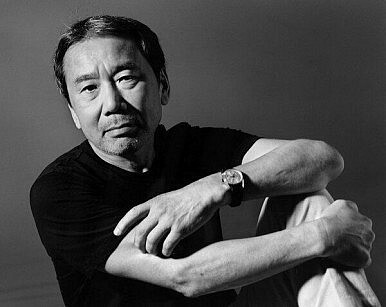 Last year Murakami was at the head of the predicted pack, although Chinese author Mo Yan won. There are many factors at play. One thing to consider is whether the judges may try to shake things up geographically and avoid awarding the prize to an Asian writer for a second consecutive year. They may also seek to address the fact that the last woman to receive the prize was Herta Müller in 2009. Last year devoted “Harukists” around the world were left disappointed. Will this time be different? Haruki Murakami’s hold on Japan’s imagination is stronger than ever.